Baby needs a headband too! We have five different colors to match all of your child’s outfits. When your trekking around the living room in a walker you sweat and you need a quality toddler headband. Or it is great as a part of your baby's costume party. Toddler sport headbands are designed for children UNDER 4 year old. 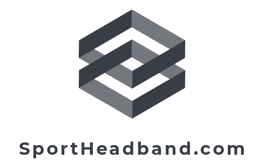 If your child is 5 year and older, we suggest our one-size-fit all head bands.